1964: Sold to B. F. Zych, Grimsby. 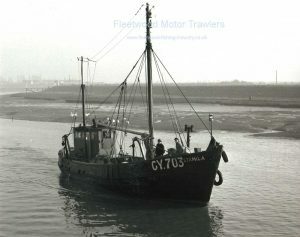 Registered at Grimsby as STAMILA (GY703). 1970: Sold to Pawel Patrozalek, Newcastle upon Tyne. Grimsby registry closed. Registered at North Shields (SN10). 1975: Sold to Christopherson, Fleetwood & others. Undated: Sunk in the Lune Deeps. 07/11/2016: Page re-published due to site problems. 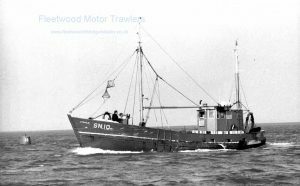 This entry was posted in Lost, Motor Trawler, No Fwd Owners on 7th November 2016 by Howard Small.